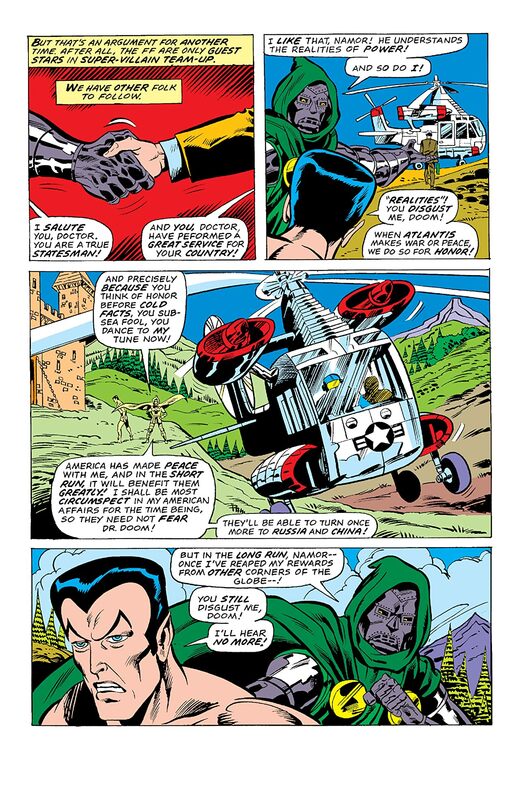 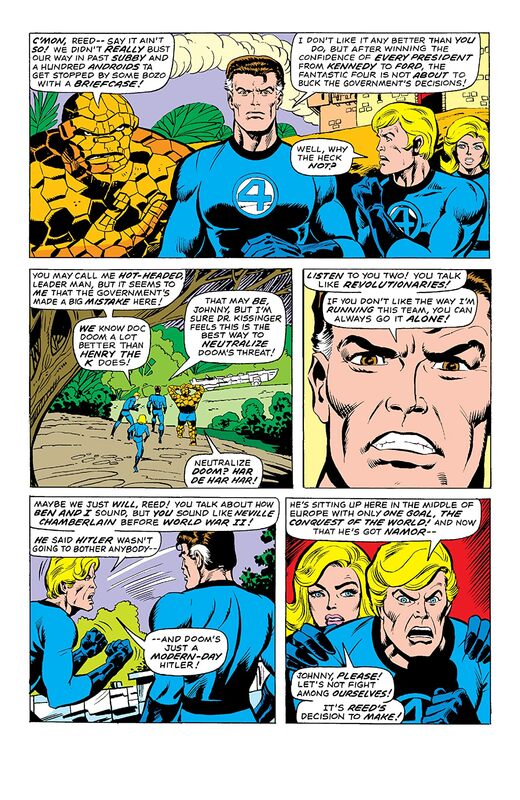 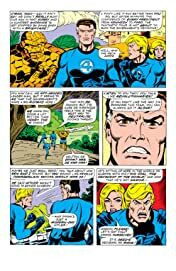 Henry Kissinger orders a ceasefire with Latveria, forcing the Fantastic Four back to American soil. 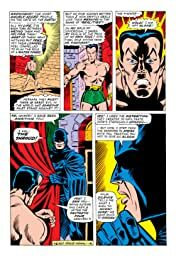 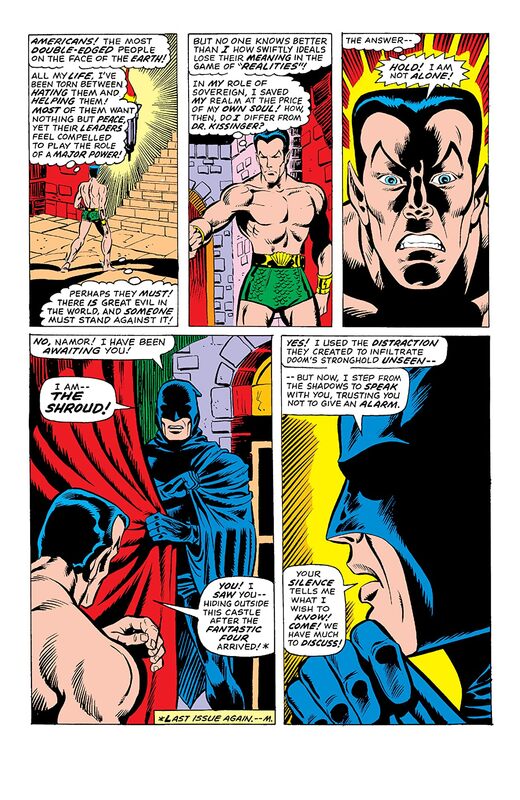 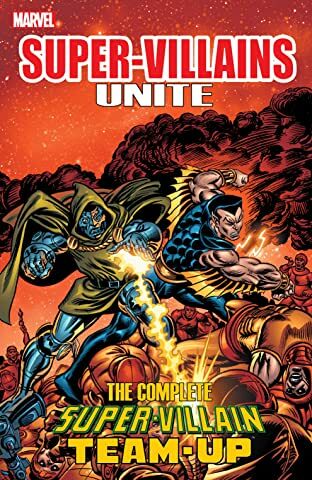 Meanwhile, Namor senses an unusual presence; Enter Shroud, Marvel’s most mysterious mercenary! 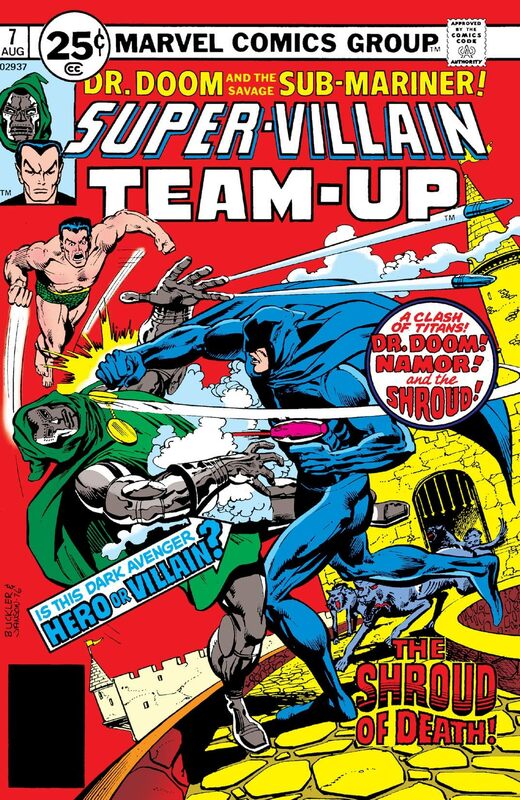 But why has Shroud agreed to take down Doom at the behest of Namor?